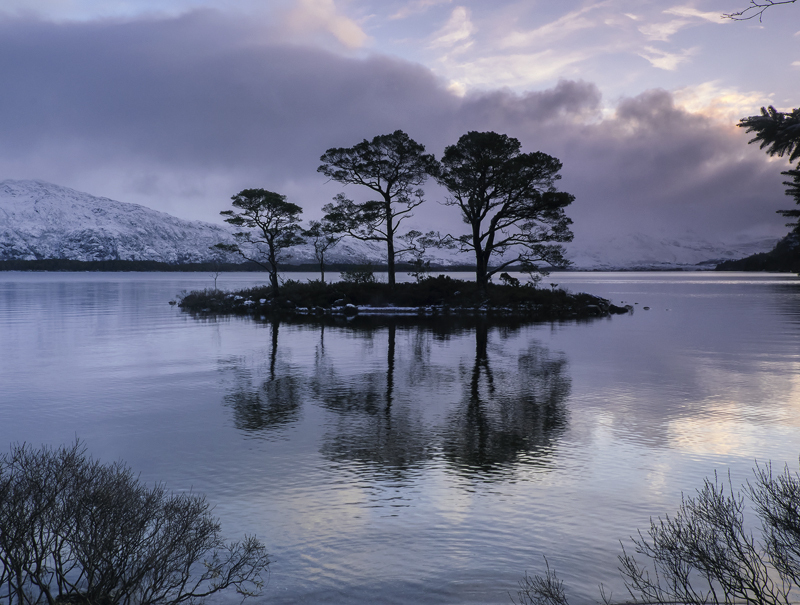 This beautiful little island of Scots Pines is quite difficult to access near Slattadale on the edge of Loch Maree but it is probably at it's very best on a slightly sombre winter dawn, which is precisely what I got here. The subdued blue light and silvery rippled water complements the silhouetted trees beautifully, the horizon being kept sufficiently high so that it can clearly be seen that this is definitely an island. Of course many will tak acception to the branches jutting in from the side but they don't bother me unduly neither do the symmetrical birch brush clusters in the corners. For me its all about the light and that shimmering water much better for me than the in vogue blur of a long exposure.